on arrival Hongkong Airport , move to Hong Kong Ferry Terminal to take ferry for Macau (70 Mins Sailing Time) Check inn at Ferry Terminal 1 hr. prior to Departure ) . on arrival macau ferry terminal take Venetian Shuttle bus. Reach Venetian Hotel. Check inn at Hotel @ 1500 Hrs. Relax yourself. 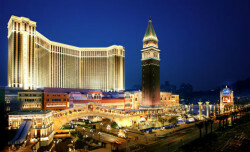 In the Evening Enjoy world famous Casino of Macau & Overnight Stay in the hotel. Morning after breakfast ready to Experience the magic of excitement and entertainment at Disney land. Visit Tomorrow Land, Fantasy Land, Adventure Land and Main Street U.S.A. Enjoy ‘Festival of the Lion King’ – a virtual explosion of Colours, music and amazing talent. Experience the magical 3-D adventure at ‘Mickey’s Philhar Magic’, Golden Mickie show, It’s a small world and Space Mountain ride. 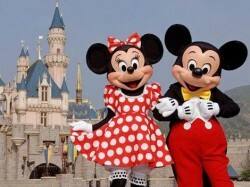 Enjoy Disney Parade and fire show at Disney land. Return back to Hotel and check inn at hotel. Overnight at Disney Hotel. Morning After breakfast, Get ready to enjoy full day at Ocean Park. Evening Back to Hotel. Overnight at Hotel. Morning after Breakfast Check out from Hotel at around and Proceed to Hong Kong Airport to board the flight . Proceed to your Hometown.